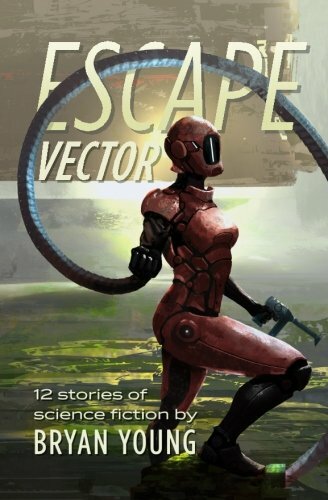 As many of you are aware, my collection of short stories, Escape Vector, and my new novel, The Aeronaut, are both coming next month. Escape Vector is a dozen stories of science fiction, all of them space opera, and it's a collection I couldn't be more proud of. The Aeronaut is a literary steampunk tale that I've poured my heart and soul into and tells the tale of Robert Preston. Preston is an American expatriate who joined the French Aeronautic Corps during World War I. Through his adventures on the battlefield and in the hospital, he meets a woman who cures his death wish, but French Intelligence has other plans for him. I'm incredibly excited for both of these and hope you are, too. I will be having signing events and readings local to me in Salt Lake City and there will be some more in other places through next year, but many have asked for a way to get signed physical copies directly through me. This is how to do that. All you need to do is use the Paypal button below and I'll get these mailed out as soon as I have the physical copies which should be on or around November 11, 2015. I'll personalize them however you want, just be sure to leave a note. And more than anything, thank you all so much for supporting my career as a writer over all these years. Your kind words, your reviews of the books, and the fact that you keep paying for them, has made this journey both wonderful and possible. Both books retail for $15, but if you order them together here, it's only $25 plus shipping. 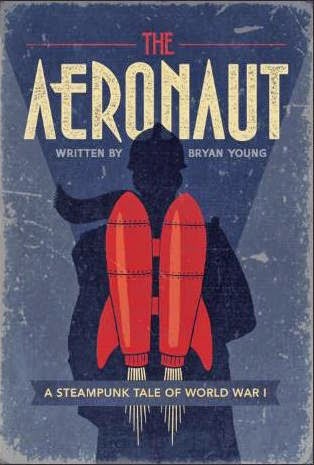 If you're interested in digital copies, please go preorder The Aeronaut from Amazon here. Helping the book climb up the charts prior to release would help me immensely. ALSO: If you need International Shipping outside the United States, let me know and I can invoice you separately for the cost of shipping.